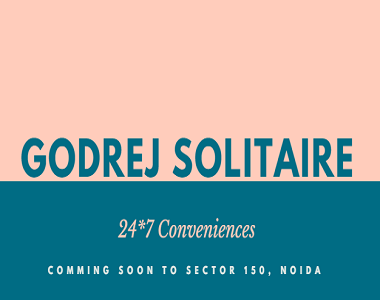 Godrej Properties has recently launched their new project Godrej Solitaire in Sector – 150 Noida. Keeping the expectations of modern buyers in mind, the company has come up with 3 BHK and 4 BHK apartments equipped with all the modern features and facilities. The Property is best known for its quality and amazing design inspired by the world’s best developments, make you sure that you will get the best. The project is spread over an area of 9 acres with vast areas left for greenery and beautiful lawns. The project is thoughtfully planned by the builder in Noida Sector 150 Sports city where only 20 % of the total land is assigned for construction activities and the rest 80 % is being kept for greens and other uses like 9-acre golf course, cricket academy indoor sports facilities, Swimming pool, Hospital and internal roads. Apart from this, the exclusive amenities available at this development include an in-house grand clubhouse, swimming pool, gym and a restaurant. Those who are on the hunt for the elegant apartments in Noida will surely find their dream home at Godrej Solitaire Sector 150. All the apartments are Vaastu-compliant and designed thoughtfully to ensure positivity. Apart from this, the wide balconies and large windows at the complex allow you to enjoy the panoramic views of the green surroundings while sitting in the lap of Mother Nature. 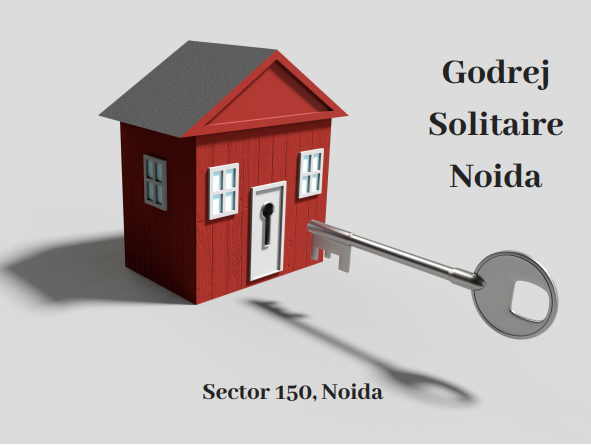 Located in the beautiful township of Sector -150, Godrej Solitaire new project location is very convenient for residential purpose because of its proximity to Greater Noida Expressway, Town Expressway, metro station International Airport and the proposed Faridabad-Noida-Gurgaon Expressway. Various schools, institution, clinics, grocery stores are located within 5 km of its radius. A school like Amity International Lotus Valley, DPS, Somerville, siren, and Vishwabharti are only 15 min drive from the project. Hospitals like Fortis, Apollo & Max are also in a close vicinity of this project. 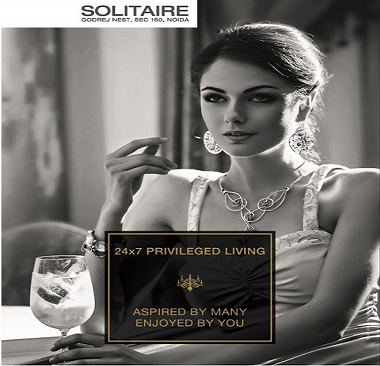 The premium Godrej Solitaire 3 BHK apartments are thoughtfully planned in the non-iconic tower with an area size varying from 1907 sq. ft. To 2062 Sq. ft. The price for the 3 and 4 BHK apartments varies from Rs. 1.06 crores to Rs. 1.93 crores as per apartment’s configurations. The security system proposed is of world-class quality and there is 100% power backup in case of electricity failure. The air-conditioned apartments at Solitaire 150 are too spacious and adorned with the stylish fixtures and fittings to mesmerize you. There are several indoor and outdoor sports facilities available for the residents where one can indulge in various activities to have an active lifestyle. The green surroundings and landscaped gardens assure a healthy living amidst nature.